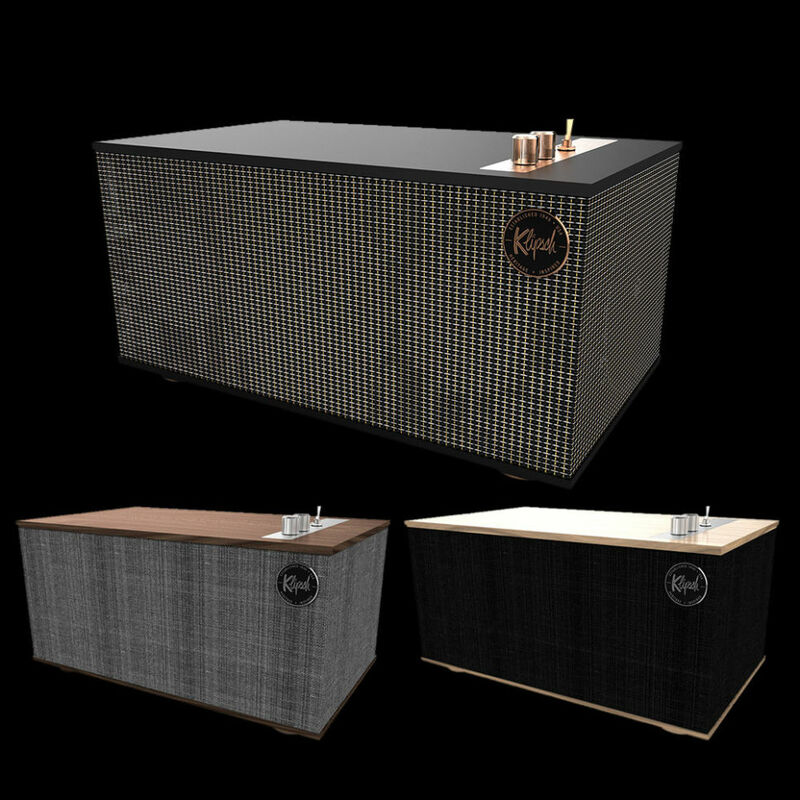 Visit the great American speaker company at CES 2019 to hear all-new, innovative, easy-to-use premium sound solutions for a variety of lifestyles and applications. We make unique products to deliver experiences that are TRUE you. 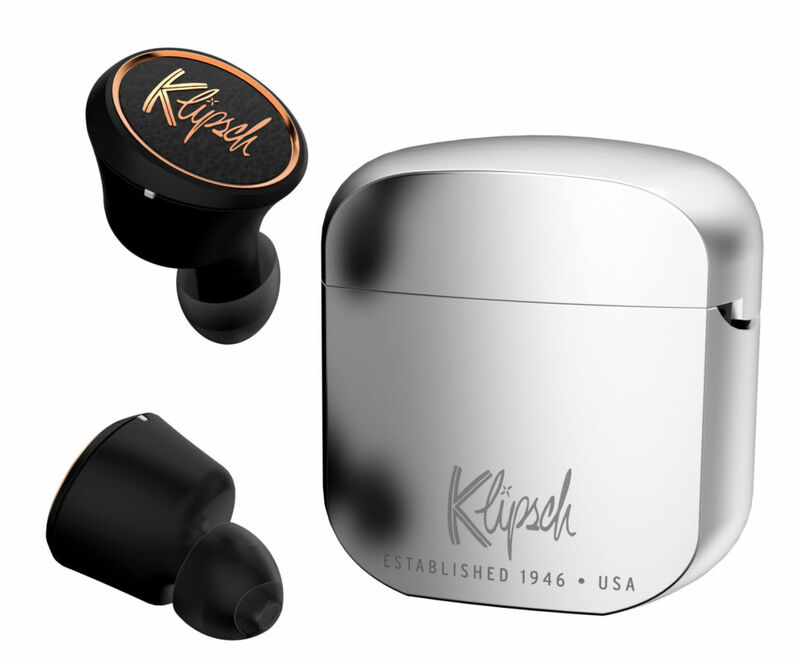 Klipsch patented oval ear tips give you ultimate comfort and an excellent seal for noise isolation and superior bass. Concert-quality sound on-the-go. You have the best seat in the house. Anywhere. 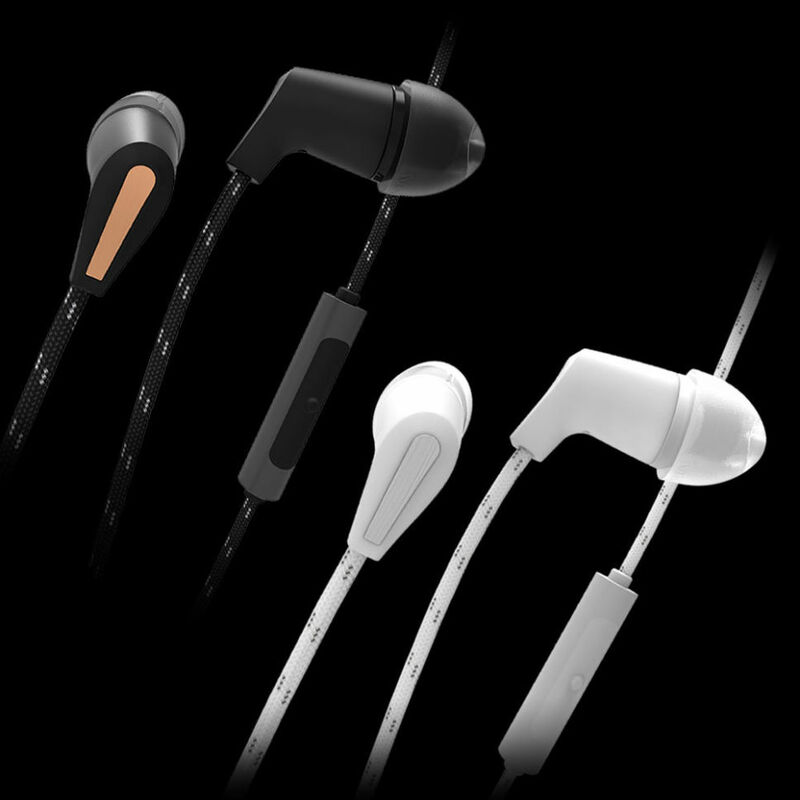 Kiss annoying, tangled cables goodbye and enjoy hands-free listening. 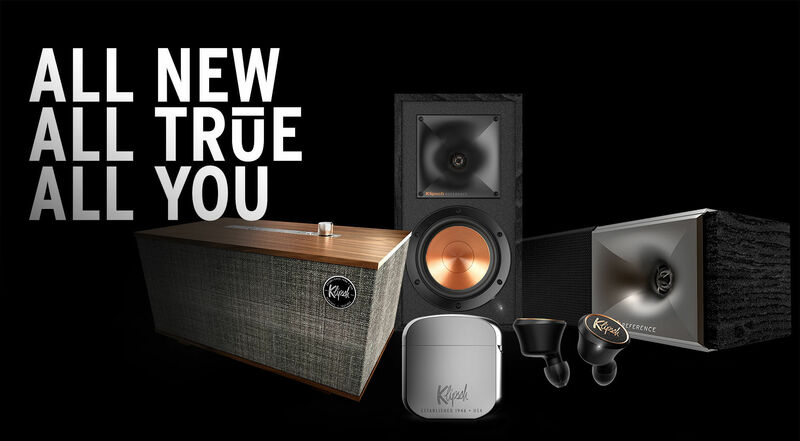 Experience the legendary, detailed and dynamic Klipsch sound. No wires, 8-hour battery and seamless connection to the digital assistant of your choice. 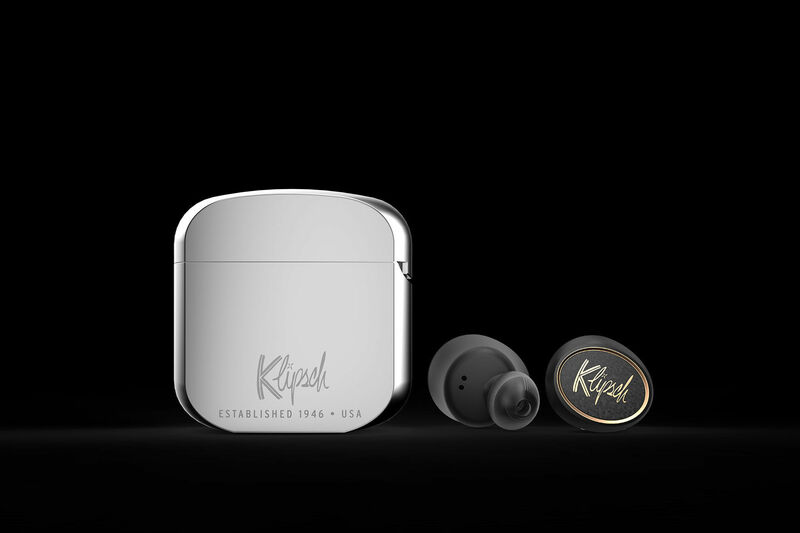 Klipsch-patented oval ear tips give you ultimate comfort and an excellent seal for noise isolation and superior bass. 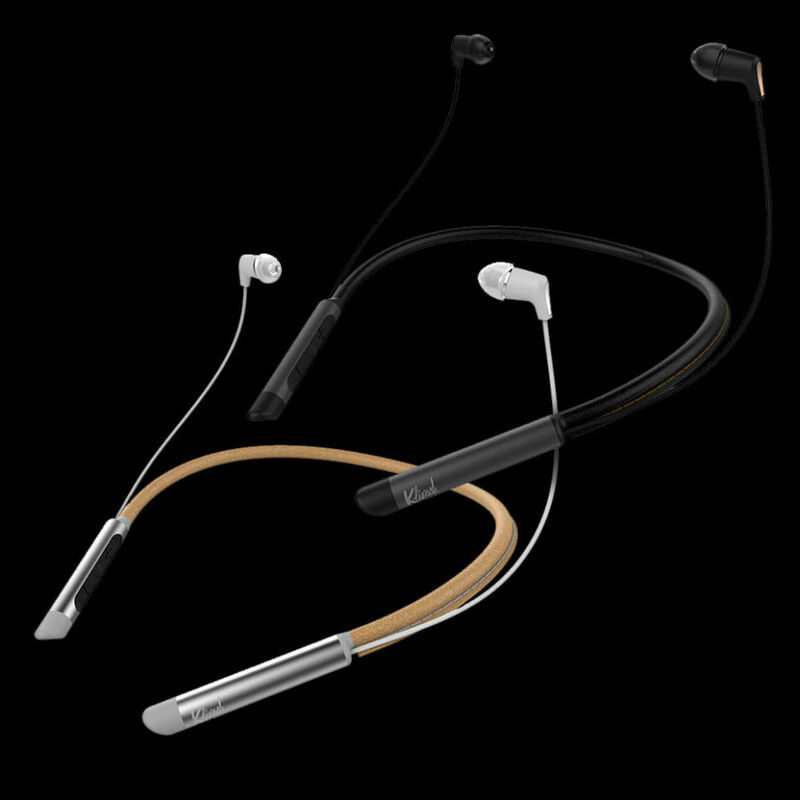 Experience the legendary, detailed and dynamic Klipsch sound on a wireless headset. A long-lasting battery means you’ll never miss a call for a recharge. Our high-performance microphone ensures you’ll hear every word. 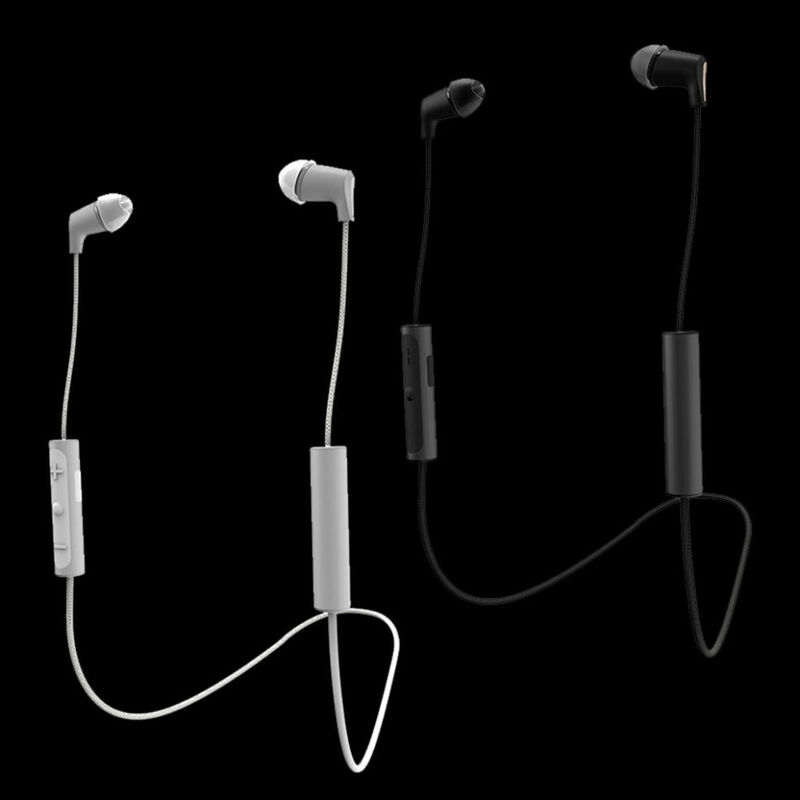 Sweat-resistant and highly-durable, these earbuds will stay in your ears comfortably, no matter what the day throws at you. Able to work with any device, take control of your music and your calls. Get crystal-clear sound quality from a best-in-class, static-free microphone. 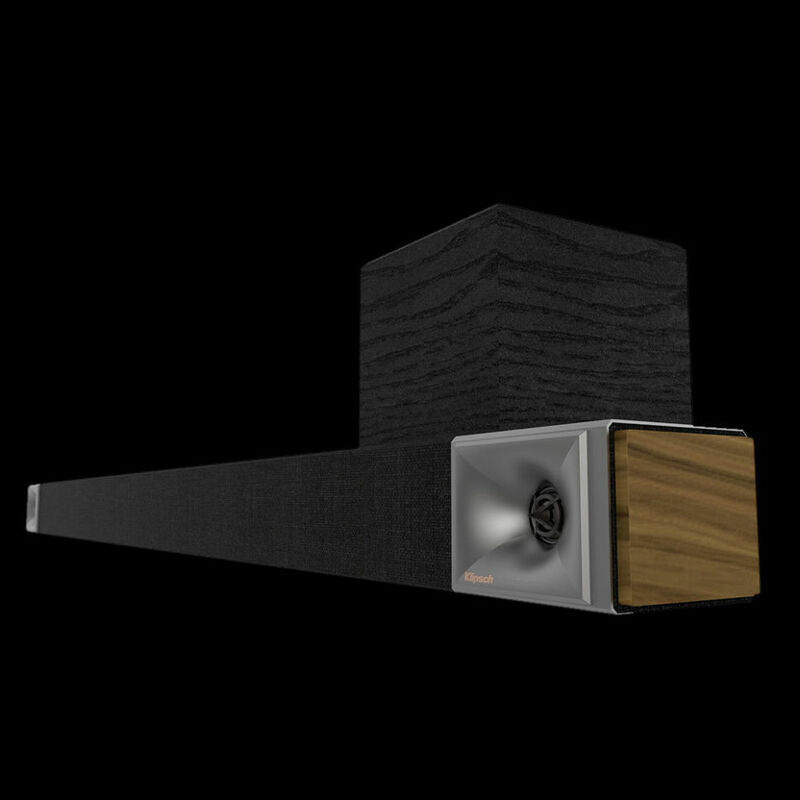 The legendary, detailed and dynamic sound you’ve come to expect from Klipsch. 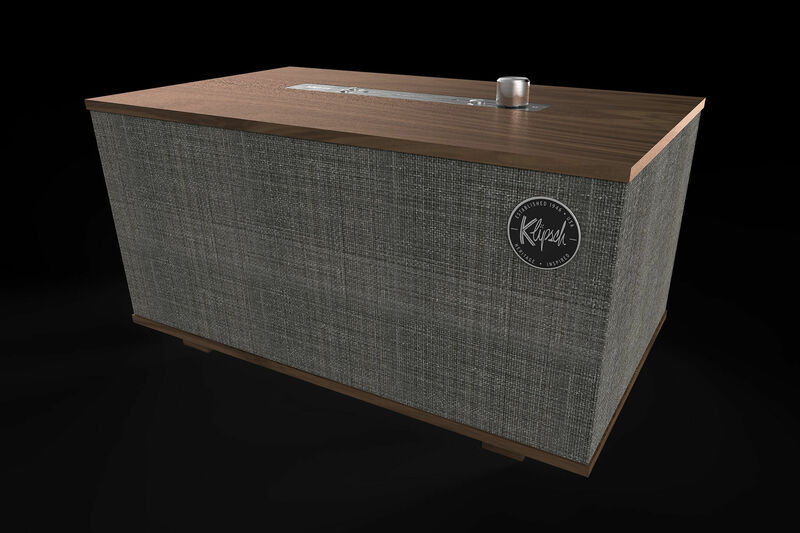 Featuring real wood finishes and durable metal accents, this timeless Klipsch design offers heirloom-quality and a mid-century modern look and feel. 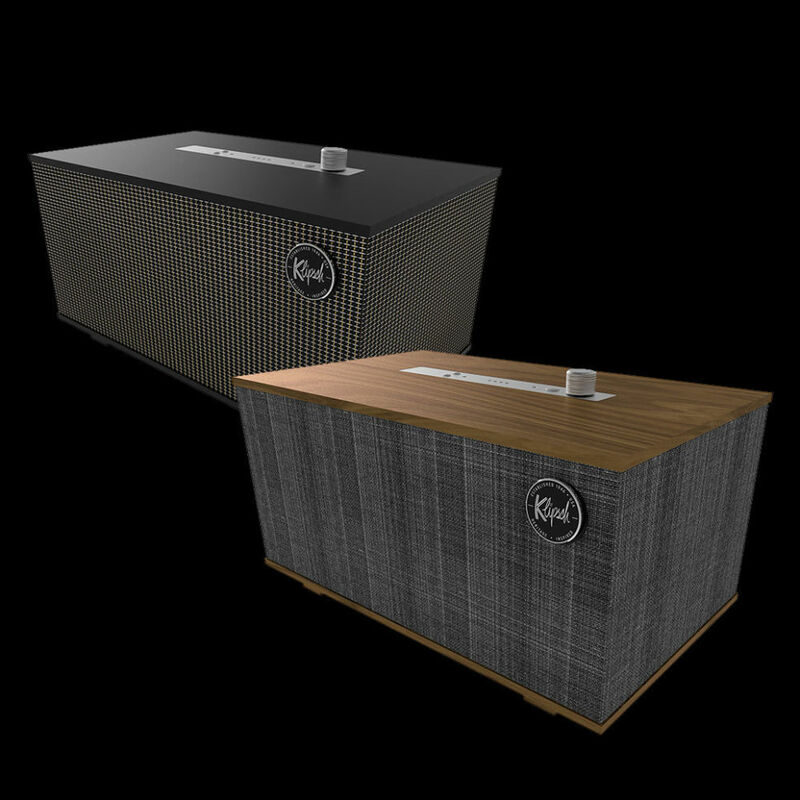 Sized to fit any room in any space, these wireless speakers offer endless options to fit your lifestyle and budget. 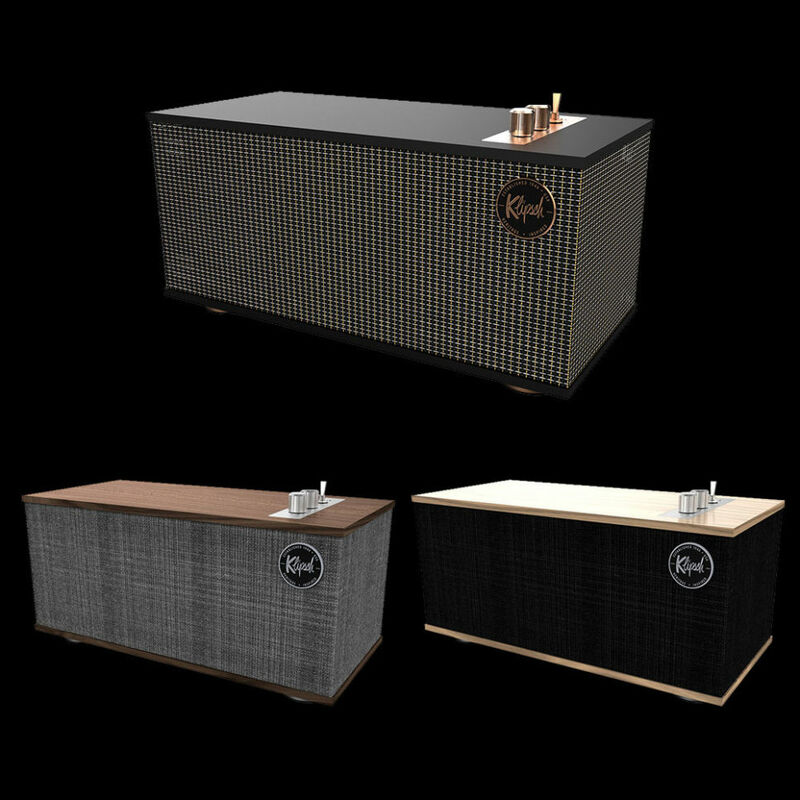 Featuring real wood finishes and durable metal accents, this timeless Klipsch tabletop design offers heirloom-quality and a mid-century modern look and feel. Hands-free personal help from Google Assistant will make your day run smoother. Hear the weather, get the latest headlines, and control your music with just the sound of your voice. Multiple inputs, including Bluetooth® connectivity, make it easy for you to listen to whatever your heart desires. 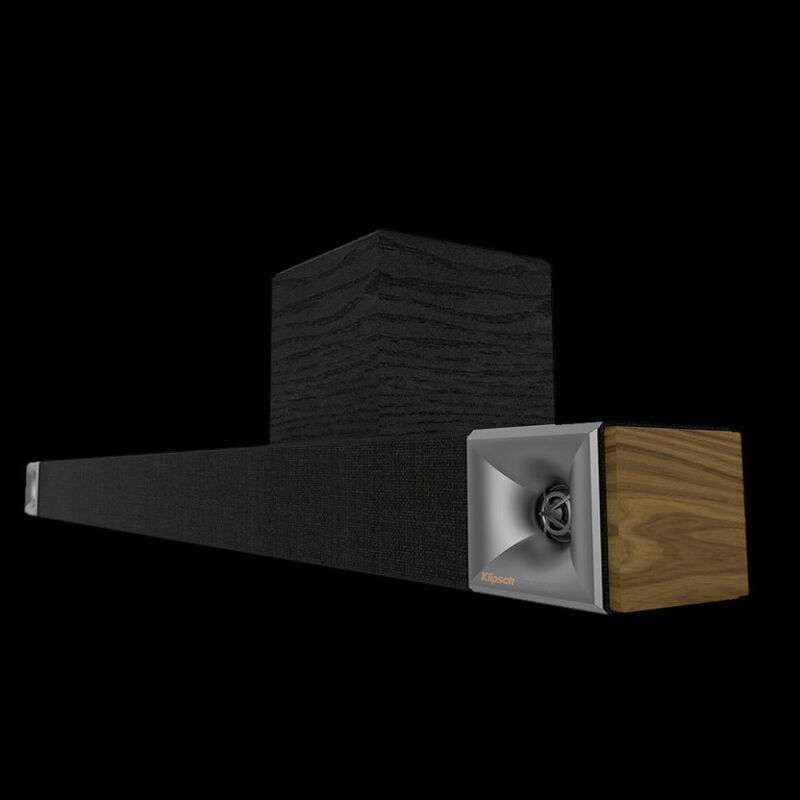 Perfectly-proportioned, The One II delivers concert-quality sound to any room in your home. Experience high fidelity sound from dedicated right and left speakers. 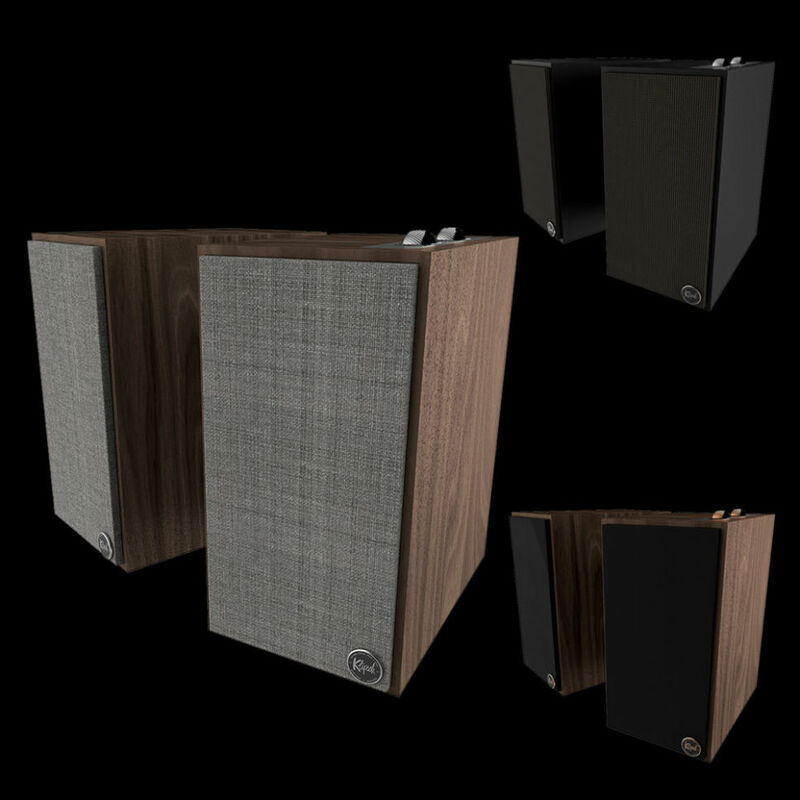 Equipped with an integrated phono pre-amp, Bluetooth® wireless technology, digital optical, analog RCA and USB inputs, these speakers work with almost anything. With a 20-hour rechargeable battery and Bluetooth® connectivity, you can take it anywhere you want music. A crystal-clear microphone, combined with mobile app control options, means you can go from a conference call to a pool party with ease. Equipped with Bluetooth® wireless technology and an 8-hour battery life, the Heritage Groove is the perfect, easy to use speaker. 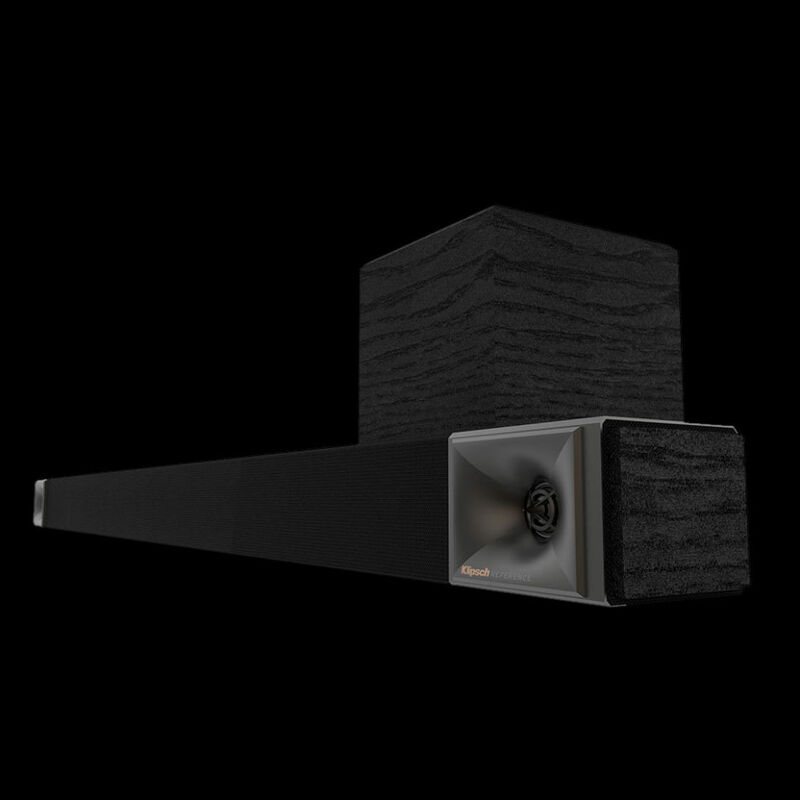 The legendary, detailed and dynamic sound you’ve come to expect from Klipsch. 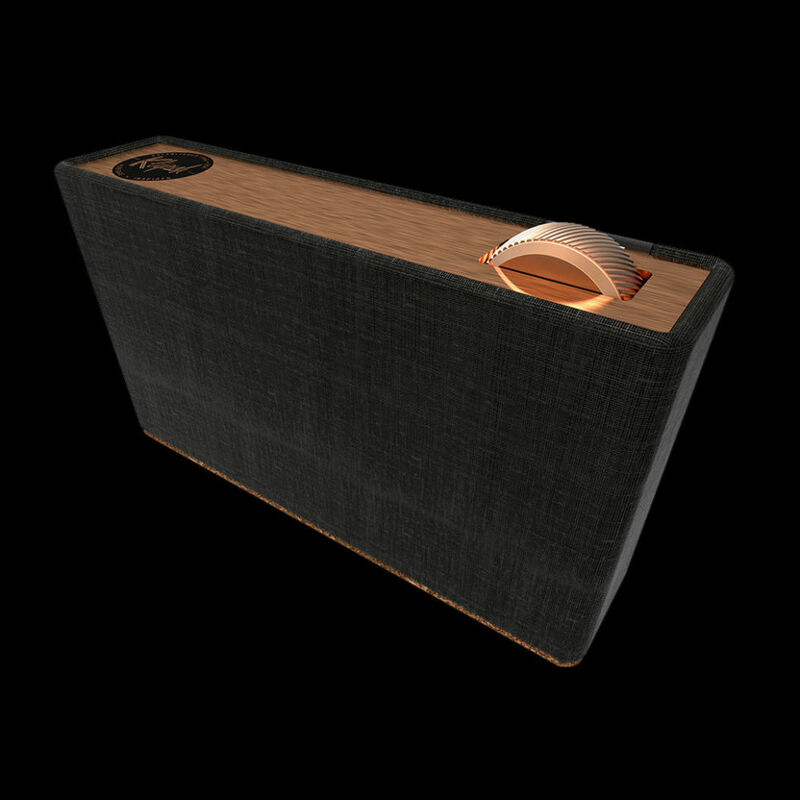 These soundbars are designed with quality materials and horn-loaded technology to look and sound more like the brand’s premium Reference speakers. Seamlessly upgrade your television viewing to a home theater experience. Compatible with any television, simply plug in and enjoy your new home theater. 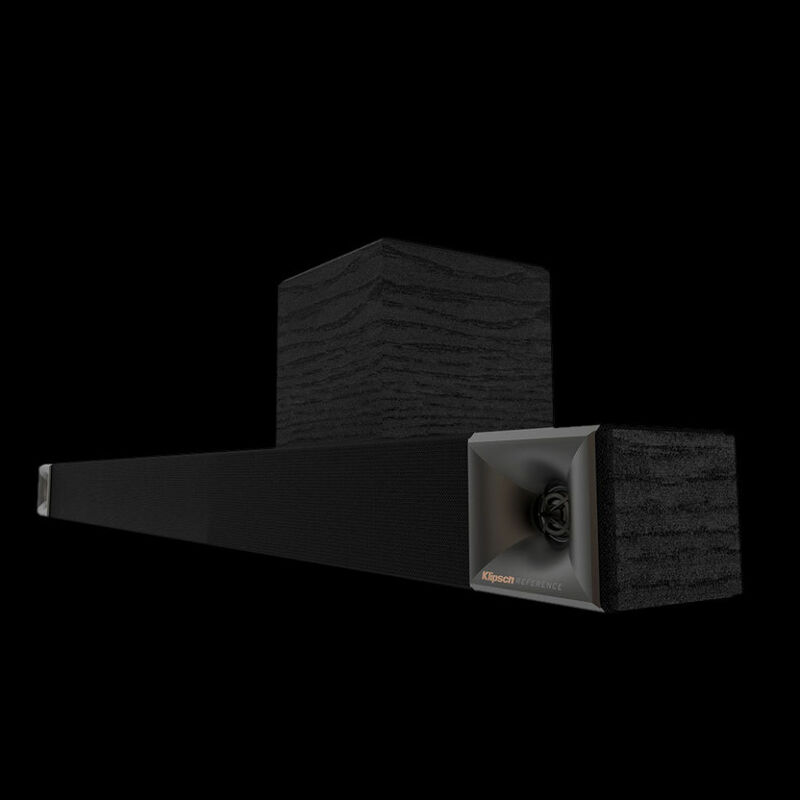 You can even purchase these soundbars with or without subwoofers. Featuring integrated Dolby Atmos® speakers in the sound bar and surround sound, Bar 54A is able to deliver a cinematic experience at home. 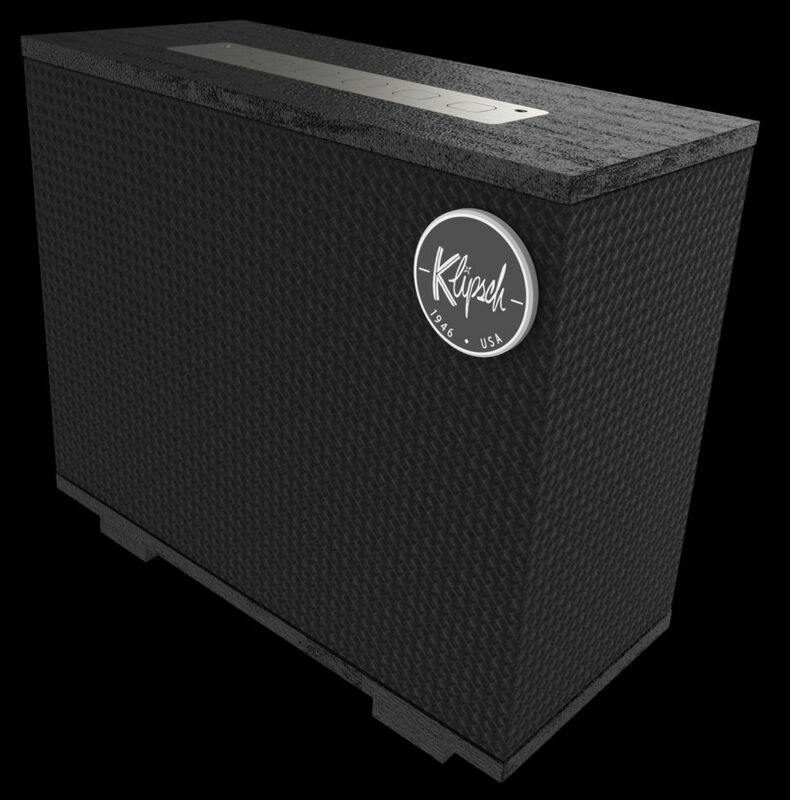 A bone-rattling, roaring subwoofer and horn-loaded technology bring the sound to life in your living room. Built-in universal WiFi for Google Voice, AirPlay2 or Alexa allows you to choose your favorite streaming partner. Easily upgrade with DTS Virtual: X immersive surround-sound to truly feel like you’re a part of the show. A powerful, dedicated center channel means you won’t miss the softest whisper. 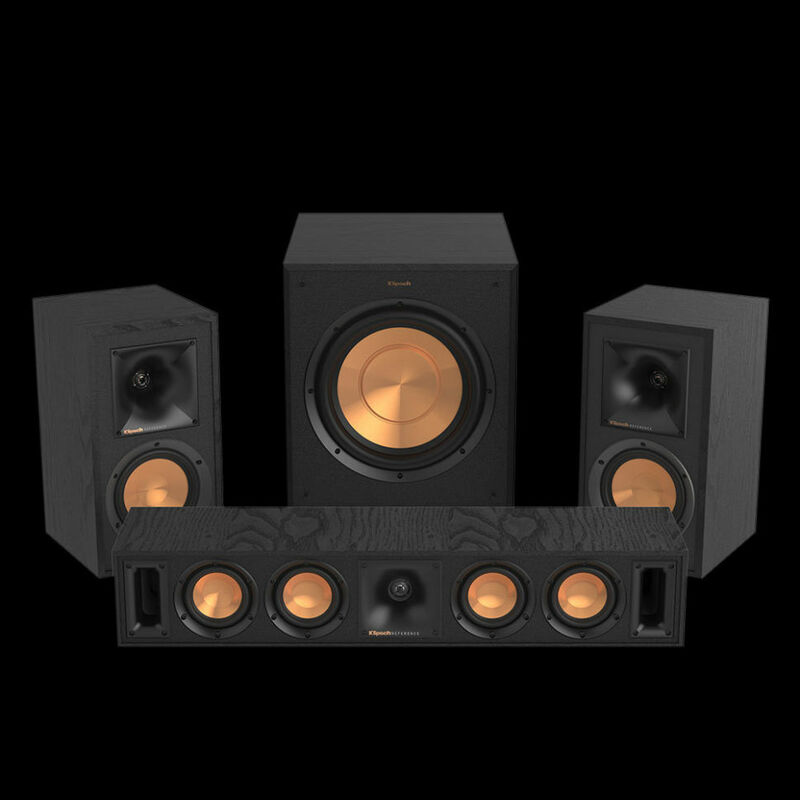 Easily upgrade with surround-sound to feel like you’re a part of the show in an immersive sound environment. Equipped with Google Voice Assistant, you get hands-free control for your movies, music, and streaming content. This soundbar features an easy-to-use remote and an HDMI connection for a fast plug-and-play solution. 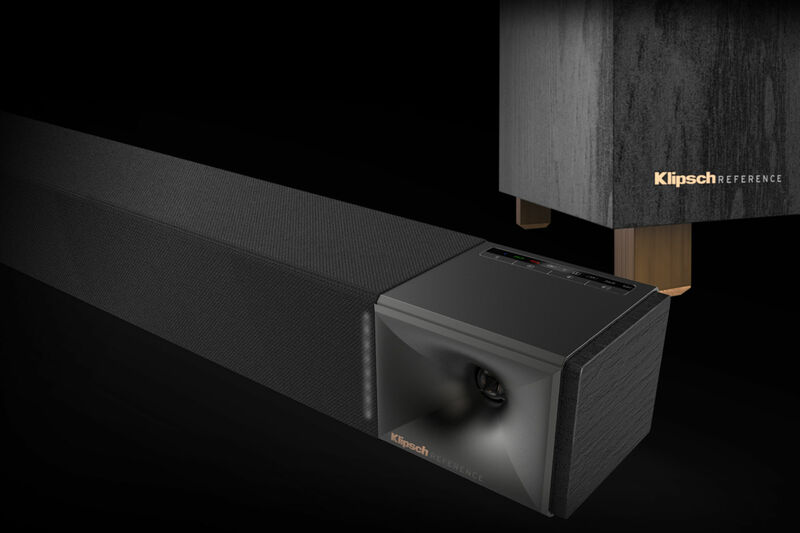 With an integrated subwoofer and Klipsch-proprietary technology, you’ll hear every footstep, breathe, and nuance of your favorite movies and music. Seamlessly connect these speakers to your compatible LG TV, Windows 10 Computer, or XBox One with a WiSA USB dongle. 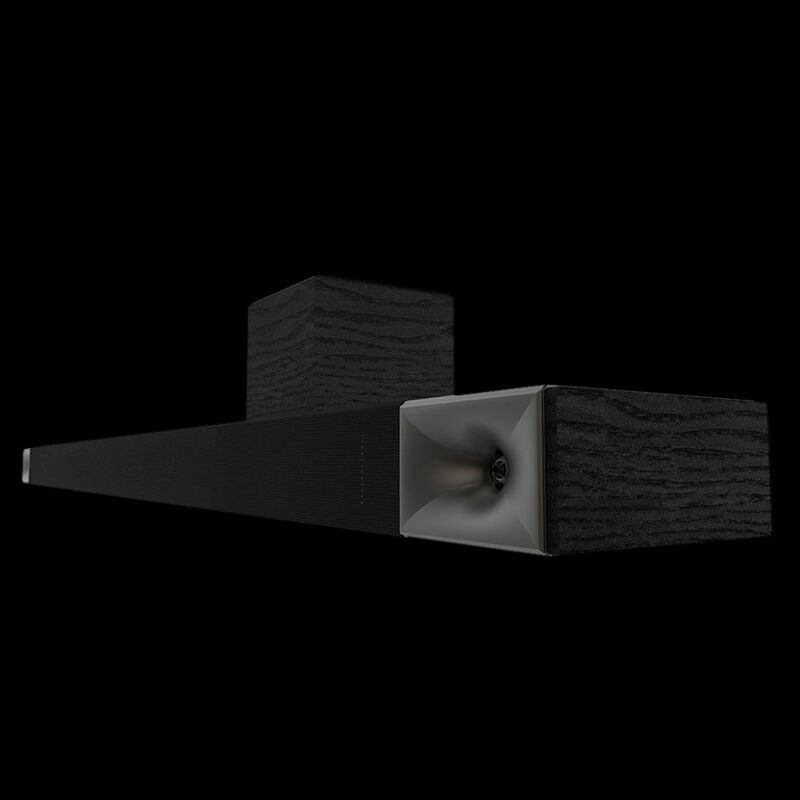 Get uncompromising, wireless sound that outperforms any sound bar on the market today. 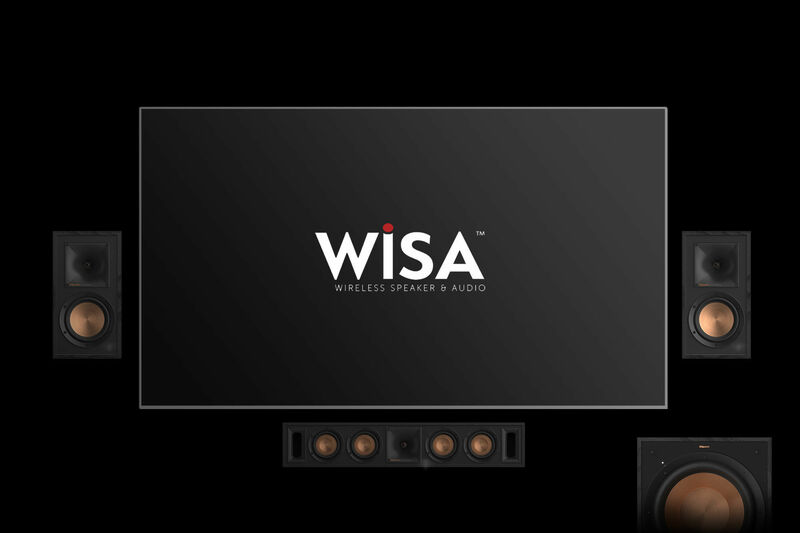 With this easy to setup system, start with a stereo, two-channel system and grow to an unparalleled 5.1 home theater system.